Is indecision holding you back? One of the biggest obstacles to progress that I see is indecision. Indecision is paralysing. It can lead to lost opportunities. So if you sometimes struggle to make a decision here are a couple of tools that should help. This is one of my favourite tools when I have any kind of decision to make. It’s virtue is that it is very simple and very visual so making reaching a decision relatively easy. If you haven’t used the tool before it is usually represented as a grid as shown in the illustration. Strengths and weaknesses refer to the ‘internal’ elements of the issue you are considering, the ones you have control over. Opportunities and threats are ‘external’ and are the extraneous elements over which you have little control, things like the economy, government policies etc. As you will see the strengths and opportunities are the positives and weaknesses and threats the negatives. The beauty of this simple tool is that you can see very quickly whether the positives outweigh the negatives which will help you to reach a decision quickly! Use it to evaluate ideas, premises, suppliers, applicants, just about everything. Here’s a template and a few questions to help you. 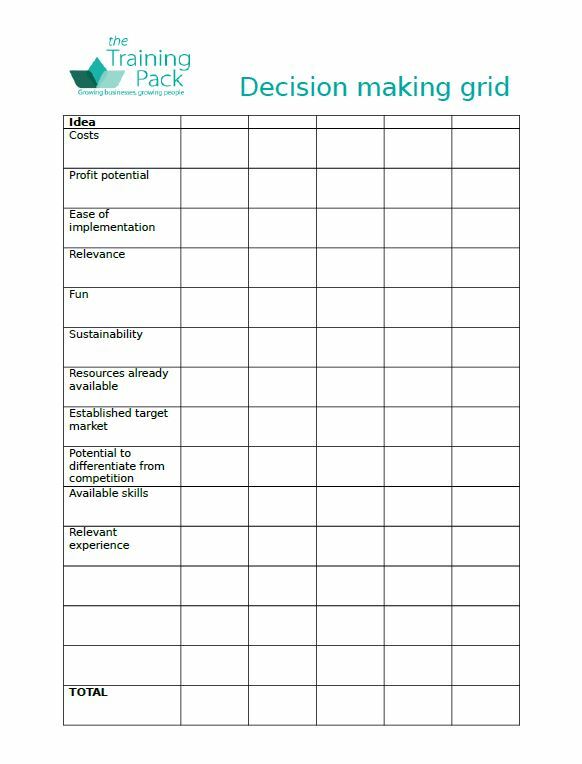 This is another tool that I find really useful, especially when a SWOT analysis hasn’t produced a clear winner or when I’m comparing a range of options. In a grid analysis you determine you assessment criteria, the things that are really important to you, and then you score each of your options against each of the criteria. I usually use a score out of 10. When you’ve allocated a score to each criterion and each issue you total them up and hopefully will have a ranked order of preference. You can download a template here I’ve included some potential items to consider but you can change these to suit yourself. 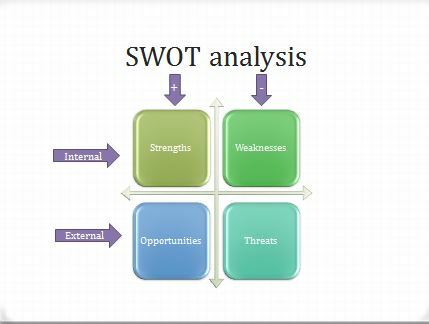 This entry was posted in Business development, Personal development, Small business advice and tagged decision making, SWOT analysis by glendashawley. Bookmark the permalink. That’s a good point Lisa. Almost any decision is better than none and most can be changed if they prove to be wrong.